An innovative thought-leader and industry leader in Urban Planning & Environmental Planning, Lisa Prime needed a platform from which to launch her new consulting business. 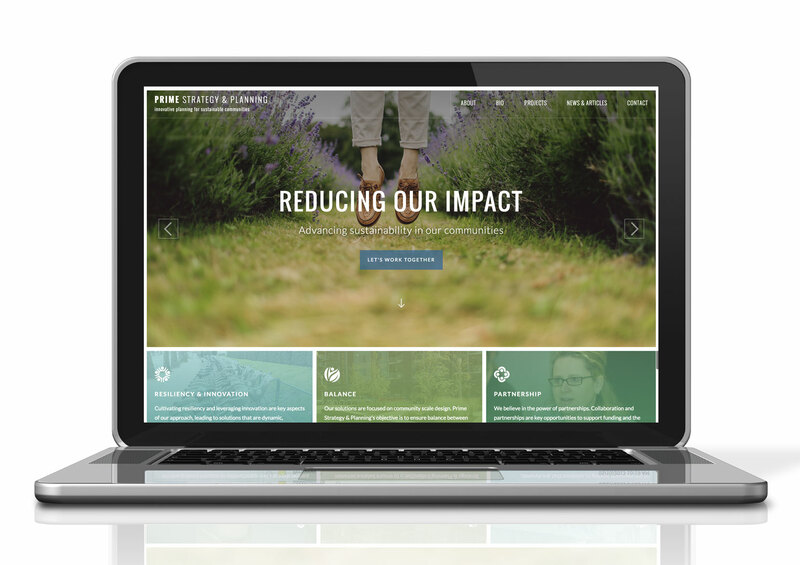 Creating an eye-catching and professional site was a key component of launching her own business. 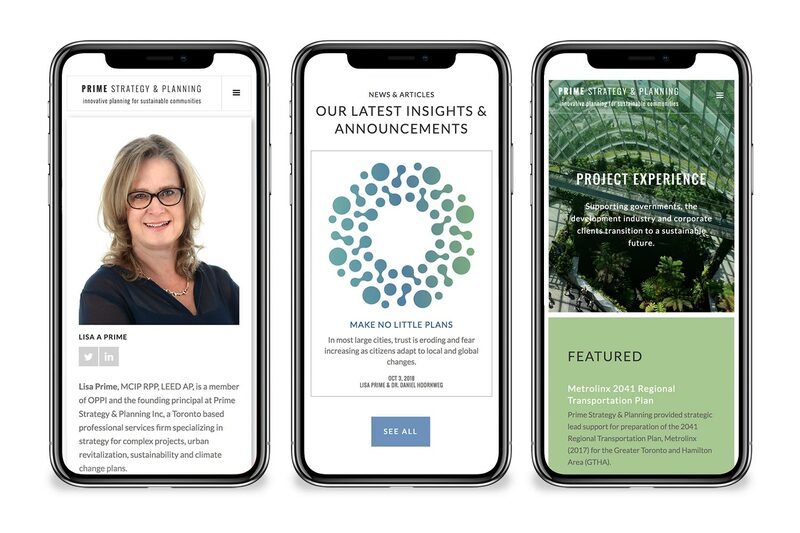 Having previously worked for Waterfront Toronto, a major innovation hub for environmental planning, the site needed to delicately navigate how to communicate the work she had previously done before starting her own business. The site also needed to enable her to showcase key projects as well as announce her latest published articles and upcoming speaking events.